impossible to make over 75mg/ml of fina? Thread: impossible to make over 75mg/ml of fina? I hear that it is impossible without making the alcohol level so high it can cause tissue damage. Well how come the first time I made it one kit it was yellow and this second time I used two kits, but left out one vial of oil to try and make it 150mg/ml why is it colored almost darker orange now, if there is no more tren in there than the first time whats with the color variations? yeah but if you read the post on this board that says you cannot make over 75mg/ml of fina its almost impossible. Last edited by alter beast; 03-23-2002 at 06:56 PM. Just curious, but how much are you wanting to take a day? 150mg ed, I dont feel like shooting 2cc's if I dont have to. I have used fina a coupple of times and I use slin pins. The one you want is U-100 1cc slin pin. 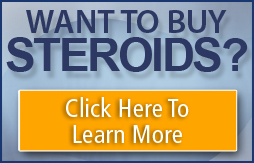 They are great for shoulders, traps, quads, biceps, triceps and peck injections. The fina is thin enough to glide right through, the onle tough part is drawing it from the bottle. That takes a while but it is worth it. The last time I did fina I used some 5mg winstrol @ 35mg e/d and 75 mg fina e/d for 6 weeks and lost 5% body fat and kept all of my strength. It takes me a while to inject my fina/prop. 2cc takes like 1 1/2 minutes with a 25guage needle. There is a way around pulling the fina through the slin pin. What you can do is pull the plunger out of the slin pin and shoot the tren in from the back of the syringe using another syringe. Put the punger back in, get the bubbles out and shoot it. do a search on BA content. i posted an answer to a similar question a few days ago.